Ray Mascola believes in seeing every sales call as an opportunity to start a long-term relationship. That’s true even of cold calls. In fact, as he will explain during this SPC dinner presentation, it’s especially true of cold calls. Of course, Ray will tell you, you have to do your research first. This includes understanding your target company’s business. It also includes understanding the role and the challenges of the person you’ll actually be meeting with. Your goal should be to come across to your prospect as someone who understands their business and may even already have an idea for solving one of their big problems. With this open approach to prospecting, you don’t have to worry about seeming like a predator. Instead, you can impress your potential client as a supportive, knowledgeable professional partner. This presentation will help you meet the challenge of creating and sustaining relationships with people and companies that you don’t know, and that don’t know you. You’ll learn the importance of starting and ending with this mind-set: “Seek first to understand, then to be understood,” as Stephen Covey counsels in The Seven Habits of Highly Effective People. You’ll learn why you need to research and prepare, but always remain open to change. 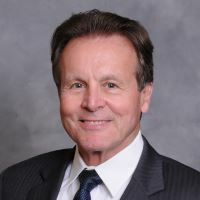 For more than 35 years, Ray Mascola has successfully partnered with small, medium, and Fortune 500 companies to help them identify and close business for sales growth. Four years ago, Ray founded Targeting Sales Growth, with a focus on helping individuals, start-ups, and small businesses find ways to boost sales and get to the “next level” of revenue. He follows an “all-in” strategy, treating and understanding his client’s business as his own. Ray guides clients from strategic discussions to tactical plans to participating in actual sales calls with identified decision makers, depending on the requirements of his client. Ray also helps his clients with creative sales direction on where in the market to sell their products and services, and how to determine the compelling message to close business with their most important target companies.